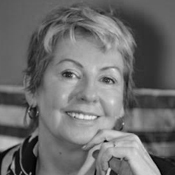 Diane Cameron is an award winning writer and journalist. She has written extensively about the history and politics of addiction and of mental illness. She writes about popular culture for the Albany Times Union and other newspapers across the United States. Diane is the author of Out of the Woods-A guide to Long-term Recovery; Looking for Signs—a collection of columns and essays; and Never Leave Your Dead about military trauma and family trauma. Excerpts of Never Leave Your Dead were nominated for a Pushcart Prize. Diane has degrees from George Mason University and Bennington College. She has a long career in human services and she is a fierce advocate for family caregivers, and for people living in poverty. She works at Unity House in Troy, New York. Author Diane Cameron uncovers the true story of her stepfather, Donald Watkins. Was he a traumatized veteran? A victim of abuse in the mental-health system? Was he a criminal? Or mentally ill? As she unravels this mystery, Cameron discovers an unlikely collection of role models in the community of the United States China Marines. Together, they put the pieces of shared war experience in perspective and began to resolve the complex issue of military trauma—it’s demographics and economics. Cameron’s story is at the intersection of war trauma and family trauma, and she unlocks the connection between the veterans of past wars and those who deal with trauma today.